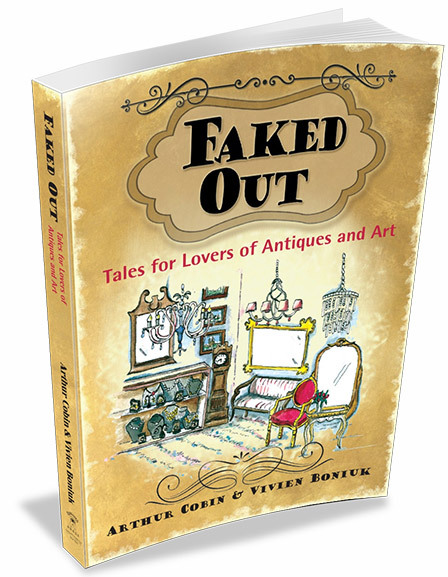 Lifelong collectors and soul mates since 1984, Arthur Cobin and Vivien Boniuk are perfectly positioned to write these tales. They have exhibited at hundreds of antique shows and markets as well as at antique malls in various parts of the country. Together they have scoured innumerable shows and flea markets, garage and house sales all over the world. After handling and examining literally millions of objects in all these places, there is only one conclusion to be reached. The objects of our past tell not only the history of different times and places, but also contain the very souls of the people who have made them, owned them, treasured them, sold them and maybe even stolen them. If you concentrate, you too can feel all that in the stories that they created. © Copyright 2013, Eyetooth Press LLC | All rights reserved.